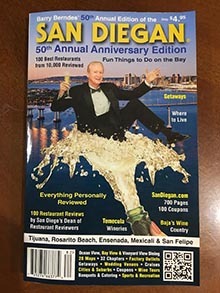 San Diego's wineries continue to grow in popularity as they gain local, regional, national and international recognition. Blue ribbons are prominently displayed at the various award-winning wineries. In fact, San Diego County wines have even been served at the White House. The wineries are always in a festive mood. Seasonal events include art festivals, jazz concerts, grape stomps and more. 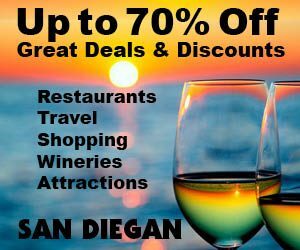 San Diego's many wineries are perfect venues for parties, weddings, receptions and corporate events. Posted September 14th, 2011 by Barry Berndes & filed under San Diego Wineries. Posted September 14th, 2011 by Barry Berndes & filed under Escondido, San Diego Wineries. Posted September 14th, 2011 by Barry Berndes & filed under Ramona, San Diego Wineries. The Pyramid Vineyards & Winery is a boutique winery that produces red and white wines including Syrah, Blanc de Syrah and Merlot wines. To schedule a tour the vineyard and winery, or to order wine, call the winery directly. Posted November 11th, 2009 by Barry Berndes & filed under Mission Bay & Pacific Beach, Pacific Beach, San Diego Wineries. Posted November 11th, 2009 by Barry Berndes & filed under San Diego Wineries. This new boutique winery produces 1,000 cases annually of sauvignon blanc, white Grenache, Syrah, zinfandel, meritage a dry orange muscat and a muscat canelli. Tastings are ($6) for six tastes and you can keep the crystal souvenir wine glass. Posted November 11th, 2009 by Barry Berndes & filed under Ramona, San Diego Wineries, Vacation Rentals. Posted June 11th, 2009 by Barry Berndes & filed under Attractions, East County Weddings, Military Wedding Venues, San Diego Wineries, Wedding Venues. If you’re looking for a special place for your wedding, this is the place. The owners have an extensive background in the restaurant business, which is a big plus. The cost for wine tasting is ($3), which includes a complimentary souvenir wine glass. Shadow Mountain is an ideal grape-growing location with an elevation of 3,500 feet, and it’s blessed with Pacific Ocean breezes and cool, dry nights. Posted May 23rd, 2009 by Barry Berndes & filed under Attractions, Julian, San Diego Wineries. Posted May 20th, 2009 by Barry Berndes & filed under Attractions, Attractions in Old Town, Old Town, Restaurants, San Diego Wineries. Posted May 20th, 2009 by Barry Berndes & filed under Attractions, San Diego Wineries, San Marcos. Posted May 20th, 2009 by Barry Berndes & filed under Attractions, East County Weddings, Ramona, San Diego Wineries, Wedding Venues. Posted May 20th, 2009 by Barry Berndes & filed under Attractions, Ramona, San Diego Wineries. Salerno Winery is a boutique winery featuring handcrafted wines. It is owned and operated by Herman and Rose Salerno. Their wines have won many international medals including the San Diego International and Dallas Morning News wine competitions. Plus, they ship within California and to most states. Pamo Valley Winery is a licensed and bonded wholesale winery that markets its wines to restaurants, stores, events and wine clubs. They also do off-site events, visit their website for more information. Their wines are produced entirely by hand, “the old fashion way”. They produce their wines with locally grown grapes. Posted May 13th, 2009 by Barry Berndes & filed under Attractions, Escondido, North County, San Diego Wineries. Posted April 23rd, 2009 by Barry Berndes & filed under Attractions, Julian, San Diego Wineries. Posted April 23rd, 2009 by Barry Berndes & filed under Attractions, Ramona, San Diego Wineries.